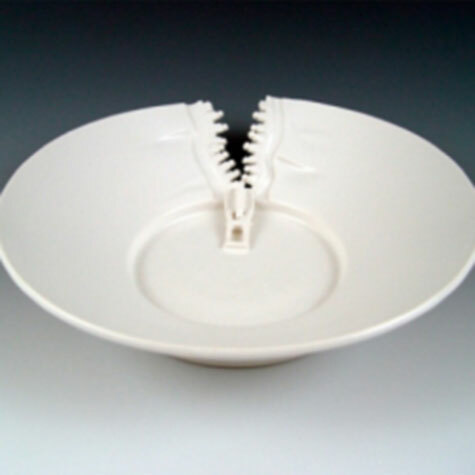 Zipper platter by ceramic artist/designer Lilach Lotan, of British Columbia, Canada. A good ceramic design lies an idea that conveys by its shape, form and contour; without the distraction of colours. The only shade being considered is that produced by the object itself. Ceramic designed pieces are made out of porcelain, chosen for its’ purity. A semi-matte white glaze is used for the same reason. The glaze has been scientifically tested, and is food safe. Ceramic are appeal to the modern designs from interior to home deco. This material meets perfectly with the urban and chic lifestyle.